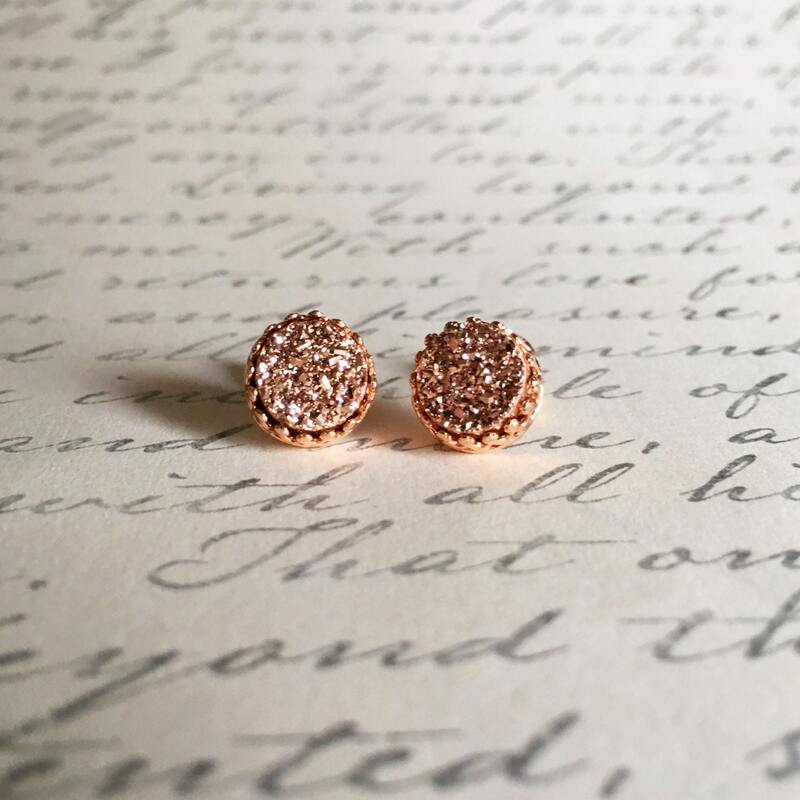 These gorgeous 8 mm stud earrings have been handmade using incredible sparkling rose gold round cut druzies set in Rose Gold Vermeil (Rose Gold plate over Sterling Silver) crown setting. 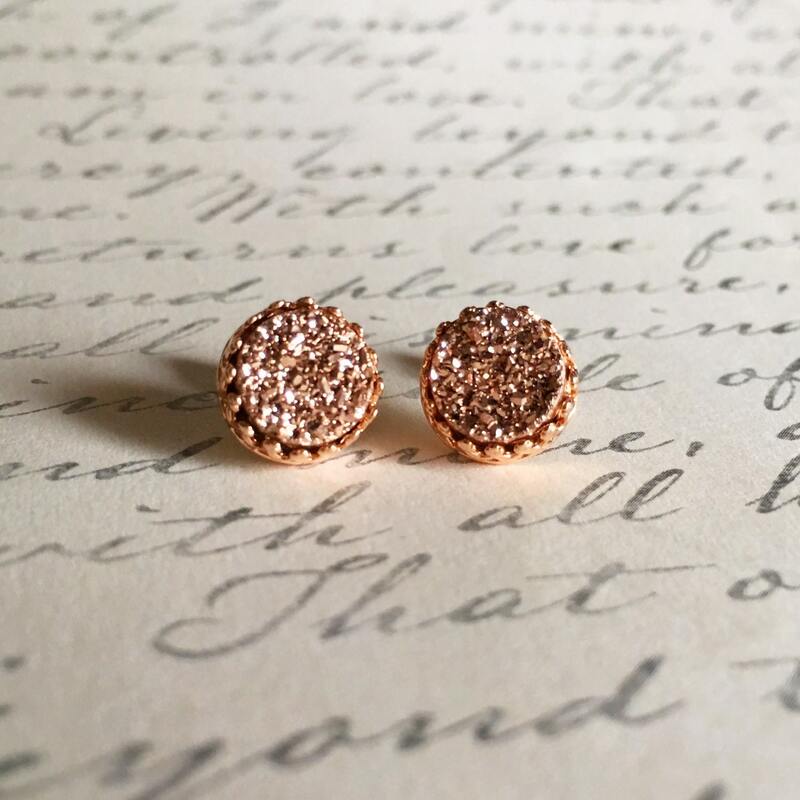 ➵ 14K Rose Gold Vermeil bezel setting earring posts, matching earnuts/earbacks are using same materials as the posts. 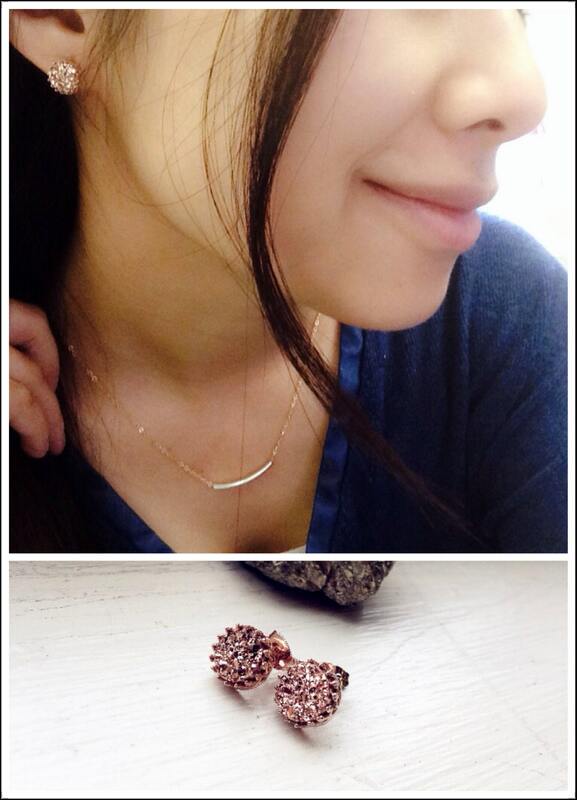 Also available in Yellow Gold vermil and Sterling Silver setting. ➵ Handmade with lots of ♥ and Positive Energy in the USA. - Each piece of my gemstone jewelry is cleaned with ancient methods (burning white sage/signing bowl) * Burning Sage is the quickest way to clear out negative energy from both objects and a space. 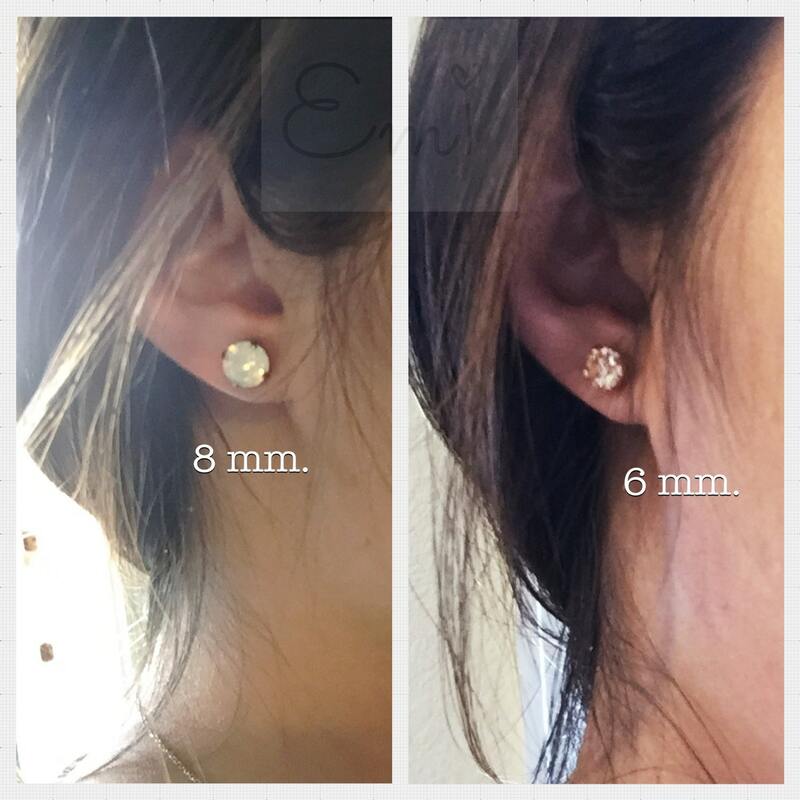 It is a great way to cleanse your jewelry as well! 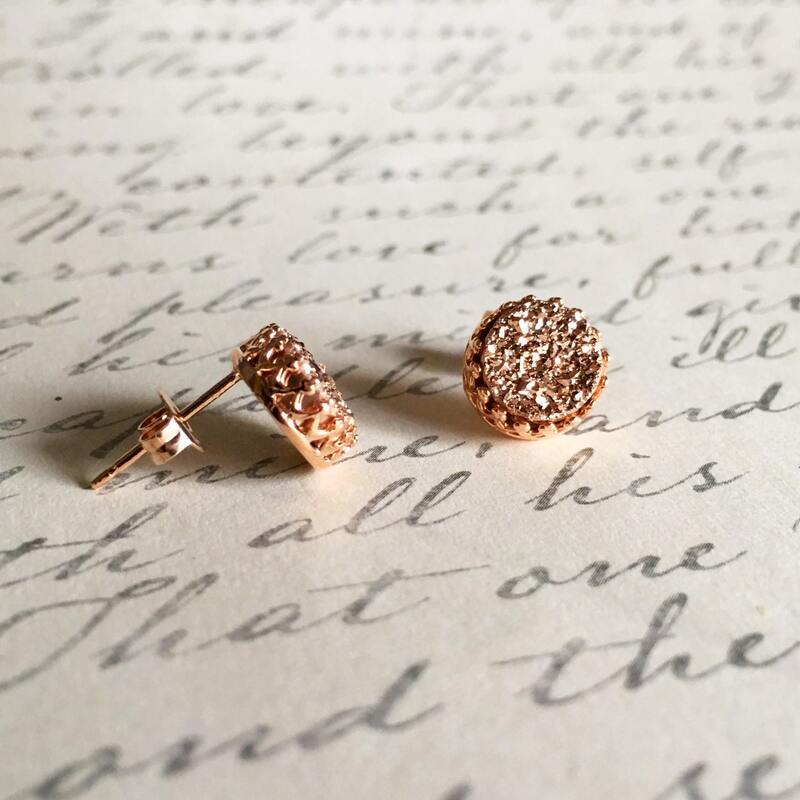 ➵All my jewelry arrives in a pretty little jewelry box, ready for gift-giving or treasuring for yourself.